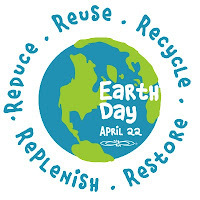 In honor of Earth Day, I thought it would be good to post about some ways we can all go green. After all, going green isn't just for the planet, it's for you and those around you too. Here are some tips from Natural News for improving your health, as well as the health of the planet. Start out by making small changes like removing chemicals from your diet and your skin care regimen. Every little bit counts and not only benefits you and those around you, but our beautiful planet too! Organic food, or food that has not been sprayed with pesticides, will keep your insides clean. Fruits and vegetables contain anti-oxidants that fight the free radical cells that cause cancer. Most experts agree that eating five to fifteen servings of vegetables is needed to give the body enough anti-oxidant fuel. Or eat foods known to be high in anti-oxidants, such as green tea, acai berries, blueberries, chocolate, and broccoli. Look for natural, organic and ecocert skincare and make-up like Physicians Formula or Josie Maran Cosmetics. Avoid products derived from petroleum, such as mineral oil, and petroleum jelly as well as sodium laurel sulfates, parabens and perfumes and dyes. Take a few moments to read the back of labels. If it's full of chemicals you cannot pronounce, don't put them on your skin or in your hair. Remember, everything you put on your skin is absorbed into the bloodstream and if it's not a natural substance, it will be stored in the fatty tissue because your body doesn't recognize it. Ride or walk on your next errand. You'll save the planet from toxic fossil fuels and add cardio, fat burning to your day. Bring a bag for your groceries. You'll save a tree and build some nice biceps on the way home. Green your homeOur homes are filled with electricity that wears down the body, kills cells and exhausts the immune systems. At least when sleeping, reduce the emissions from electricity in your environment. Turn off all lights that are not in use, and unplug appliances that are not running, like the toaster, hair dryer, electric can opener, television. This saves energy and improves your sleep. Also turn off your computer and especially your wireless modem. Do not keep your cell phone near your body as you sleep. Move the charger far from your bedroom, and especially far from your head. These electrical impulses are hard to measure, but scientists are now concluding that prolonged exposure can be damaging to your health. Use non-toxic cleaners. Scrub the wood floor with water and vinegar. The residuals of chemicals used to clean your home end up on your plate and in your body. To clean the air, burn a candle. This will clean smells from the air without adding toxins from artificial scents. Use a candle that burns clean, like beeswax or soy. Reduce pollution in your home, in your city and in your body. The planet you save may be your own. 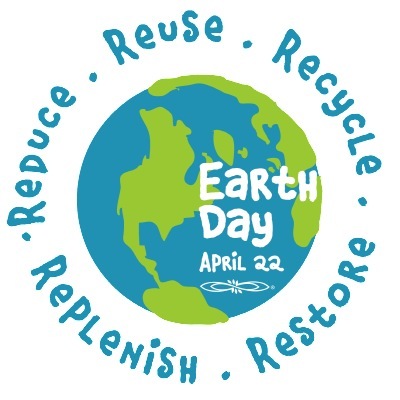 So celebrate earthday everyday and start going green today!